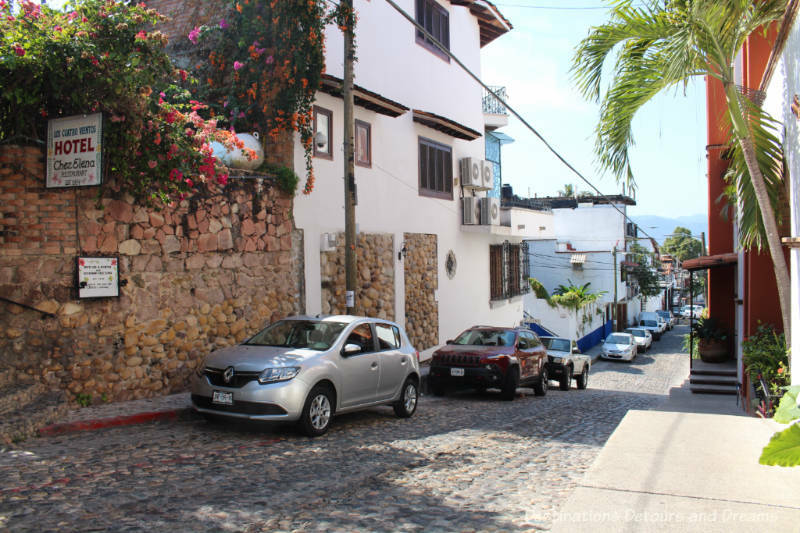 Gringo Gulch is a residential area in the historic downtown area of Puerto Vallarta known for its views, architecture, and colourful history. 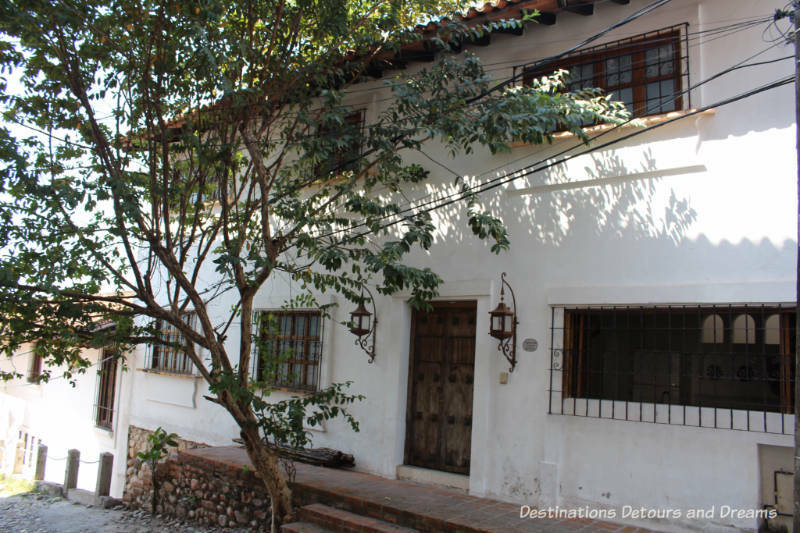 It is located uphill from the main square just north of the Cuale River. 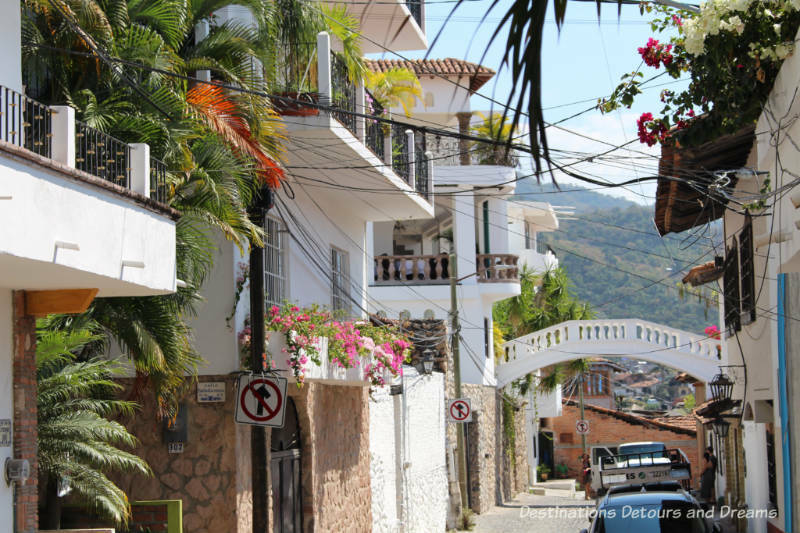 It got the “Gringo” part of its nickname from the mainly English-speaking foreigners who bought homes here in the 1950s and 1960s, before Puerto Vallarta was the tourist mecca it is today. At the time, this was the only accessible hill for building a home with a view. Since then, bridges and improved infrastructure have opened up other hill areas for development. The “Gulch” part of its name comes from the dip toward the river that occurs at the southern portion of the hill. 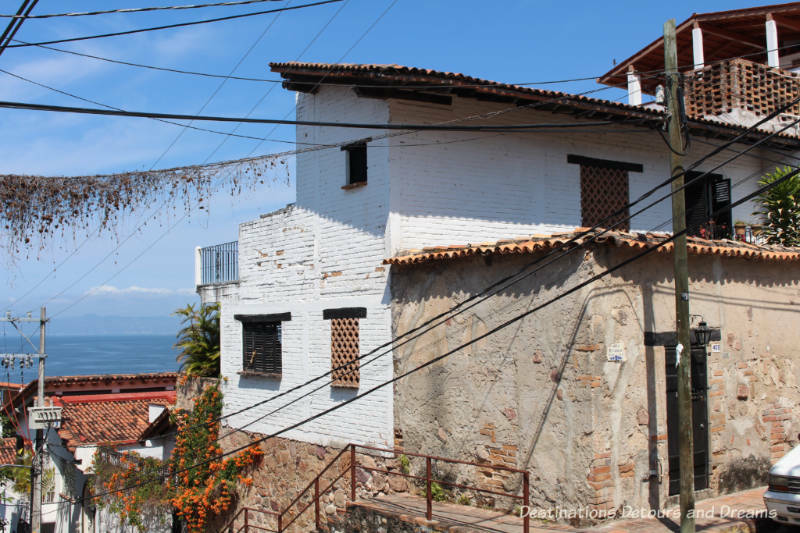 That dip offered views to the south of Banderas Bay as well as to the west, making this a preferred area for the expats. 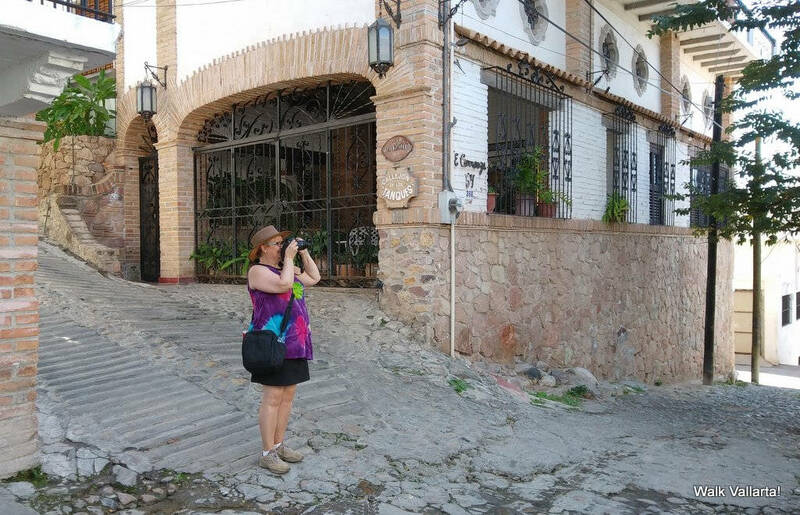 On a walking tour with Sandra of Puerto Vallarta Walking Tours, I learned more about the architecture and history of the neighbourhood. Gringo Gulch started to develop as an expatriate neighbourhood in the 1950s. Two builders played prominent roles. Plaques identify the homes these two built. 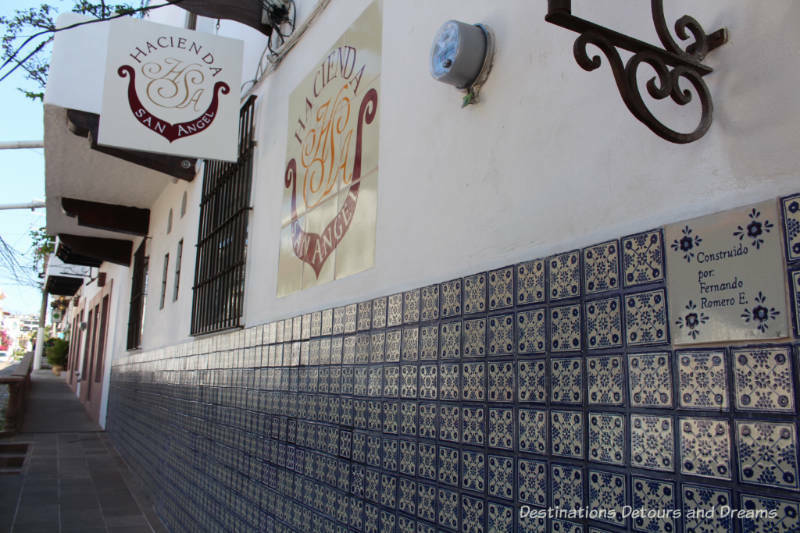 Fernando “Freddy” Romero is credited with developing the “Vallarta Style” of red-tiled roofs, white-washed adobe walls, and wrought iron decorations. Romero was a bit of a “Romeo” and preferred to build homes for rich widows. 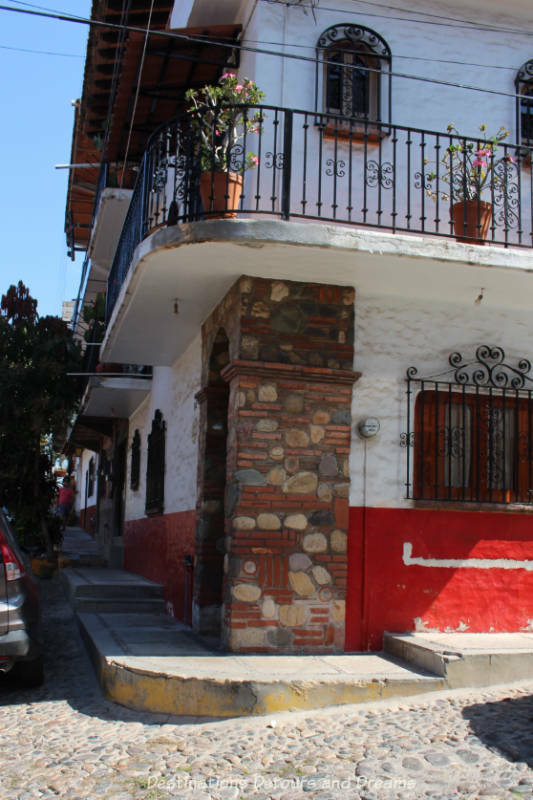 Guillermo Wulff was a Mexico City engineer who also built many homes in the area. He introduced the cupola as an architectural element. As we walked, Sandra pointed out various architectural elements. Many of the buildings have the bottom portion of the outside wall painted a different colour than the rest of the wall, which is usually white. This is not merely a decorative decision. 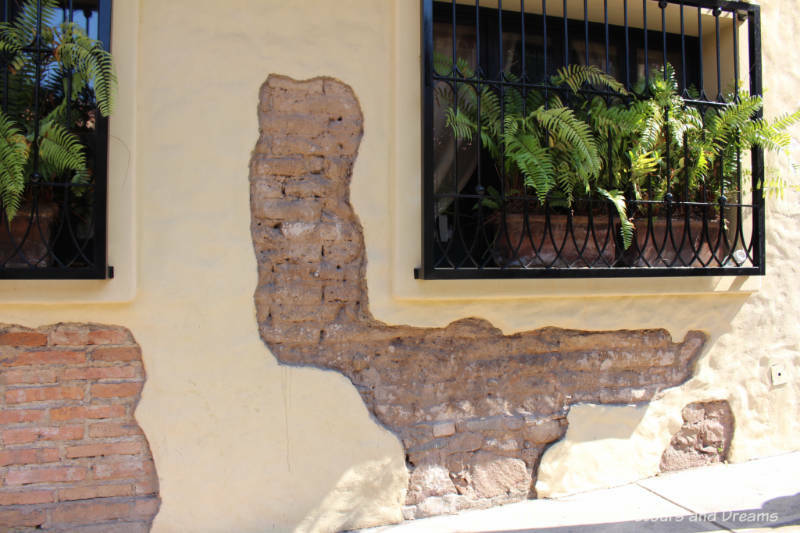 During the summer rainy season water splashes up this part of the wall and mold forms. The mold needs to be regularly scraped off and the wall repainted. Keeping that section a different colour means the entire wall need not be repainted. The movie industry and a juicy Hollywood scandal played a significant role in the development of Gringo Gulch. Builder Guillermo Wulff played a role in that too. In the early 1960s, he convinced movie director John Huston to shoot “The Night of the Iguana” in Mismaloya, an isolated cove eight miles south of Puerto Vallarta, where he had obtained a 90-year land lease. 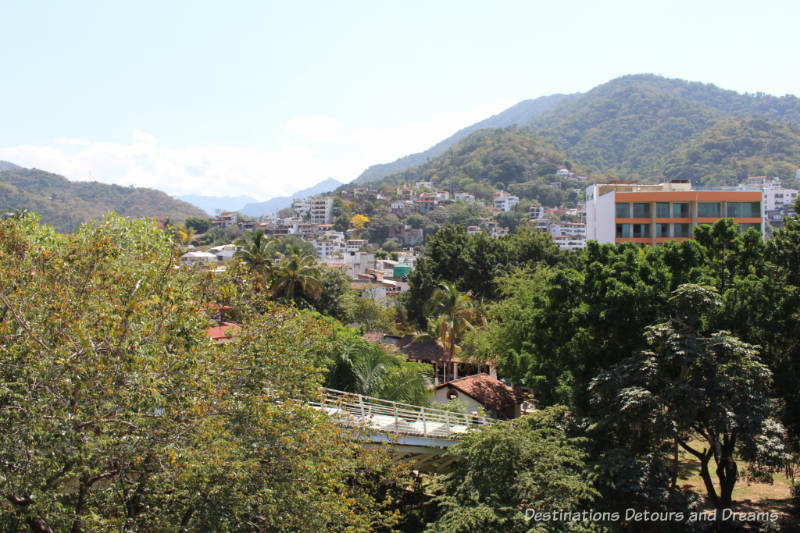 There were no facilities or hotels at Mismaloya. 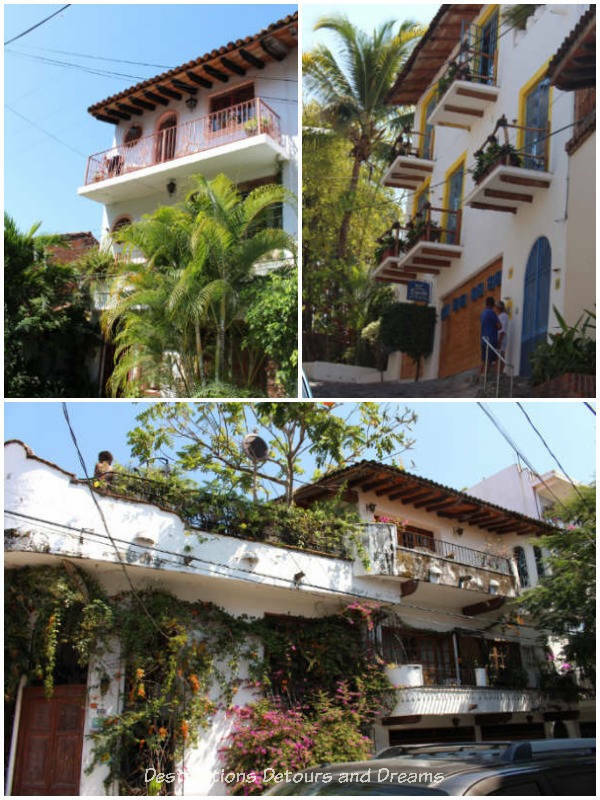 The cast and crew stayed in Puerto Vallarta. They and the movie equipment travelled to and from Mismaloya every day via boat. The cast included Richard Burton, Ava Gardner, and Deborah Kerr. Elizabeth Taylor was not in the film, but she was in Puerto Vallarta with Richard Burton. Their steamy extramarital affair drew paparazzi and news coverage from around the world. 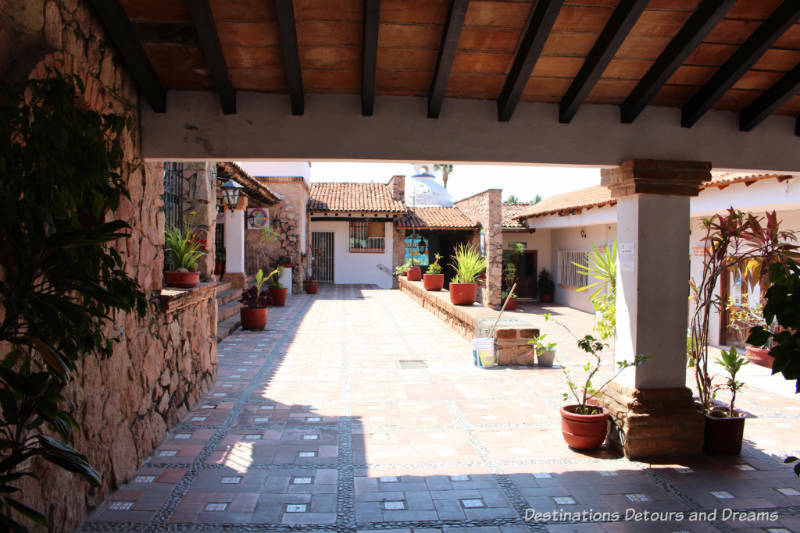 Puerto Vallarta did not have much in the way of hotels in the early 1960s. Elizabeth Taylor was unhappy with her accommodations. John Huston let Burton and Taylor stay in his rented villa Casa Kimberley and rented another villa for himself. Richard Burton ended up buying Casa Kimberley for Elizabeth Taylor as a birthday present. At the time, Casa Kimberley was a two-story building. 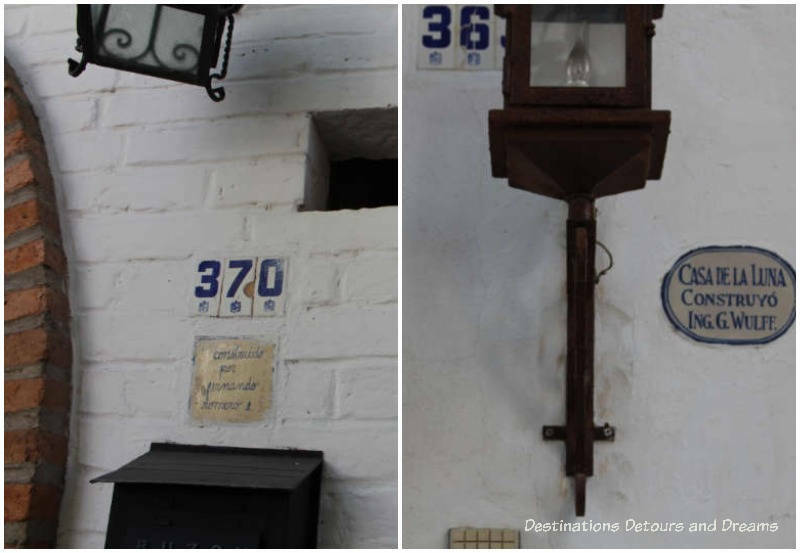 It is now a boutique hotel and the current owner has added floors. Richard Burton also purchased a villa for himself on the other side of the street. Guillermo Wulff built the bridge, originally painted pink, connecting the second stories of the two villas. It is said to have been inspired by the “Bridge of Sighs” in Venice. There are stories of Richard Burton being trapped in his apartment after one of Burton and Taylor’s famous fights because the apartment had no street entrance of its own and Elizabeth locked the door on her side of the bridge. Supposedly, friends threw bottles of liquor up to Burton on the bridge. Burton and Taylor married in 1964, divorced ten years later, remarried in 1975, and divorced again in little under a year. 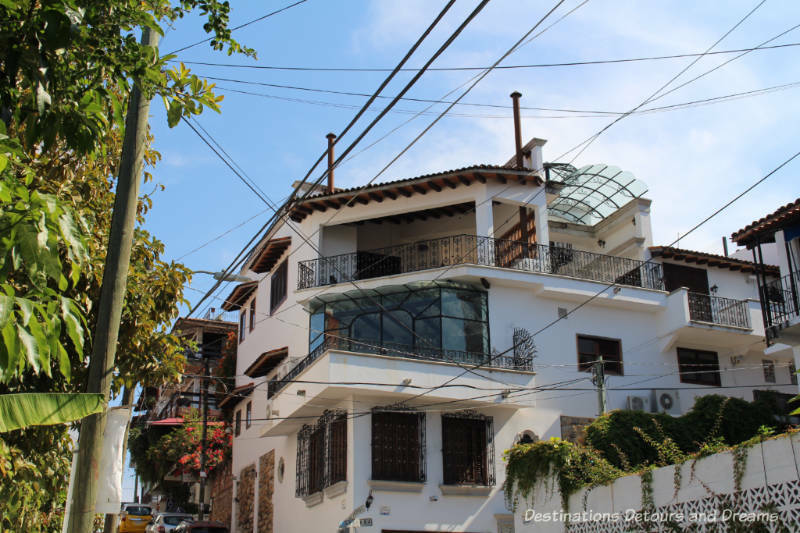 Richard Burton purchased another villa in Puerto Vallarta in 1977 for his new wife Susan Hunt. 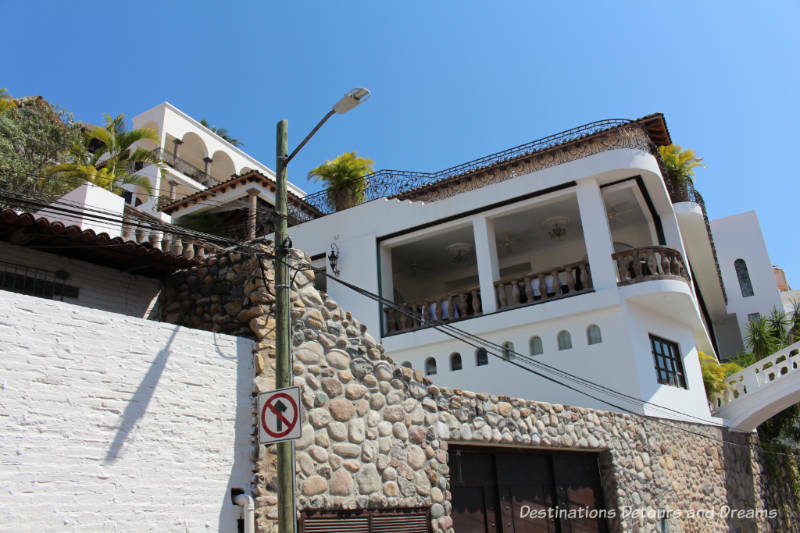 That villa is now part of the Hacienda San Angel boutique luxury hotel. As we walked Sandra pointed out former homes of other famous residents, and told us about them and current owners. The exteriors, while attractive, are often quite plain. The interiors would have been more elaborate with tiled floors and courtyards. When you walk through the area, it may be possible at times to catch a brief glimpse of an interior through an open door. 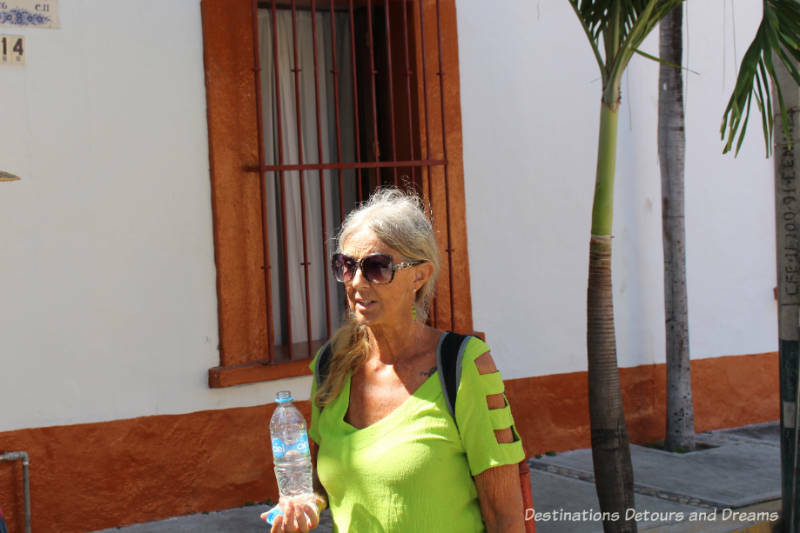 Sandra has been conducting walking tours in Puerto Vallarta since 2009. 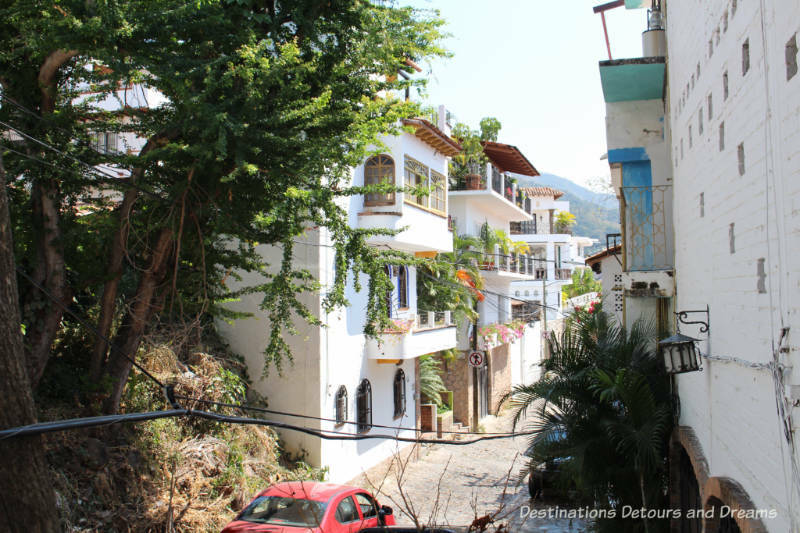 Puerto Vallarta Walking Tours grew out of the informal tours she gave friends when they visited. There are several types of tours offered, not just the one of Gringo Gulch. Sandra told me she likes to add a new tour each year. Her latest addition is a chocolate tour. The Gringo Gulch walking tour takes approximately 90 minutes. 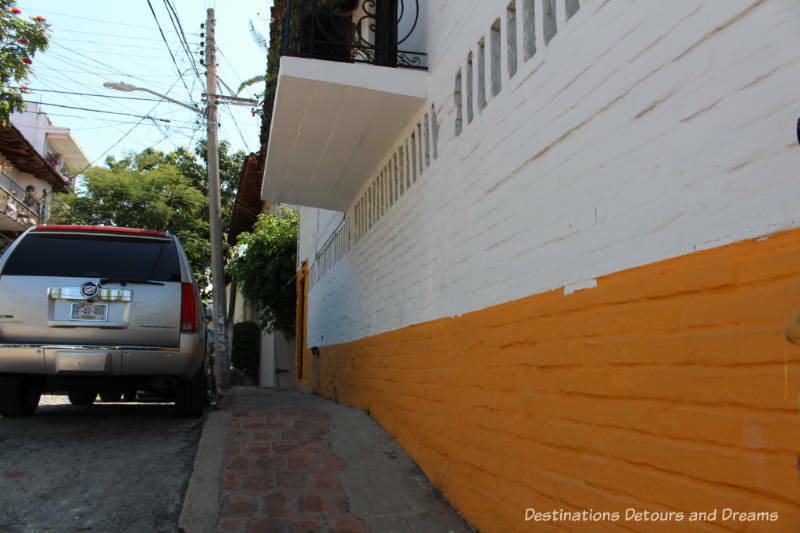 Note that there are some stairs and some inclines (like most of Puerto Vallarta). You can walk and explore Gringo Gulch on your own. I chose to take a tour to get more of the stories and history. 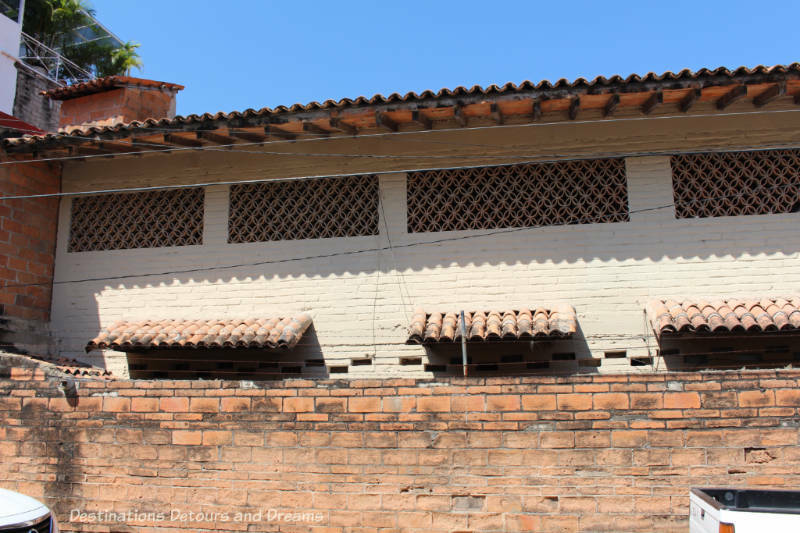 Casa Kimberley is relatively easy to find on your own, but I wouldn’t have learned who lived at some of the other houses or heard the interesting story tidbits on my own. I took a lot of photos on the tour. Sandra took this photo of me and my camera. Gringo Gulch sounds like the name of dive bar. The real Gringo Gulch looks far more appealing than that. Ken, Gringo Gulch would make a good name for a dive bar. Fortunately the real neighbourhood is not a dive. Thanks Anita. The history and story did make the area even more interesting. How fun! I would have enjoyed a walking tour of Gringo Gulch! I had opted for a food walking tour and loved it. Now I know what to do on my next visit to Puerto Vallarta. 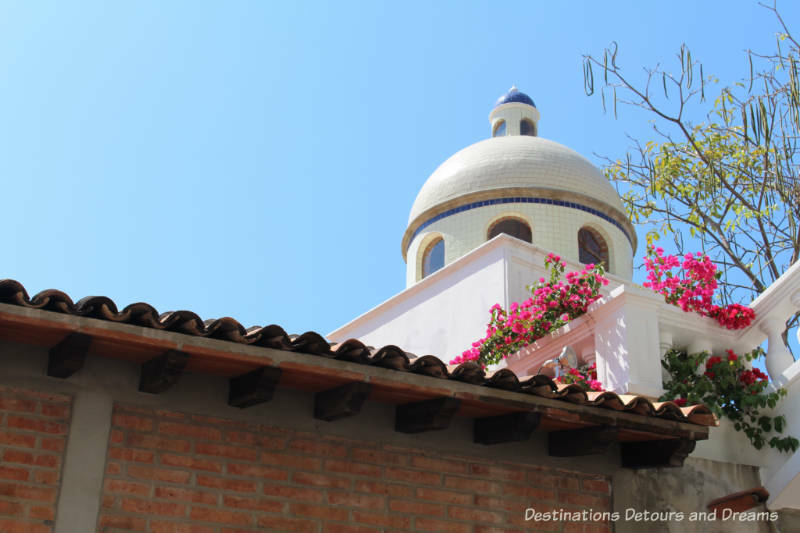 Doreen, there is so much to do in Puerto Vallarta. I didn’t do a food tour and it would be on my list for a future visit. What an interesting story of an equally interesting place. The glamor is gone but the beauty remains. I will visit Gringo Gulch when we go to PV in 2019. Carol, I hope you enjoy your visit in 2019. 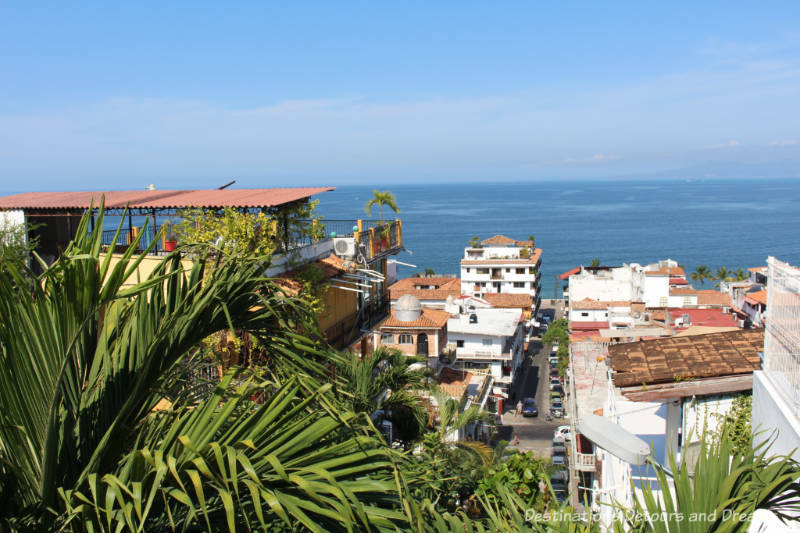 I just love Puerto Vallarta! I don’t think I’ve been to Gringo Gulch, but it’s so pretty and scenic. I would absolutely love walking around the area, camera in tow. Patti, there are so many photo-worthy spots. Gringo Gulch looks like a fascinating area to explore! 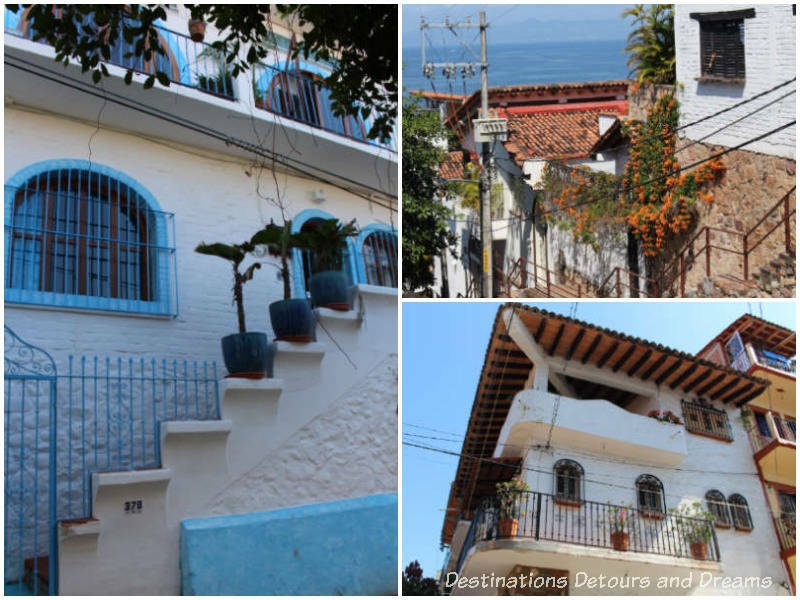 I recall hearing about Richard Burton and Elizabeth Taylor’s affair during “Night of the Iguana.” What a storied part of Puerto Vallarta! Debbra, there are lots of interesting stories – there must have been quite the goings on back in the day. Love the bronze of Taylor & Burton–it’s a classic pose just like they were a classic couple. RoseMary, it is a classic pose, isn’t it. Jim Demetro is a good artist – he has several sculptures in Puerto Vallarta. 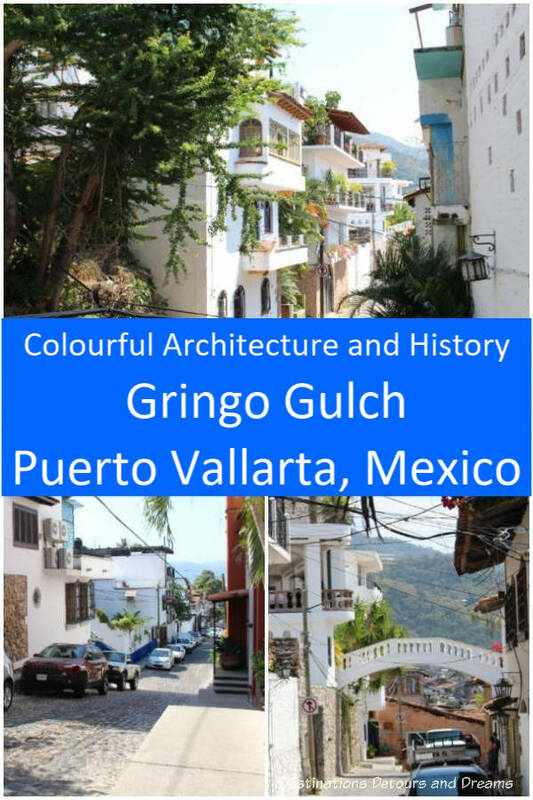 Thanks, I really enjoyed reading this history of Puerto Vallarta, its architecture and its celebs! Kristin, I’m glad you enjoyed reading this. It was a fun tour and fun to re-experience when writing about it. I’m glad you took a lot of pics — they’re great and really take me back to Puerto Vallarta. I was there back in the 80s — LOL! I had forgotten about all the Hollywood history there, especially Burton/Taylor – thanks for the reminder. Thanks Cathy, I’m glad you enjoyed the pics. Sandra, I’m glad you liked the article. 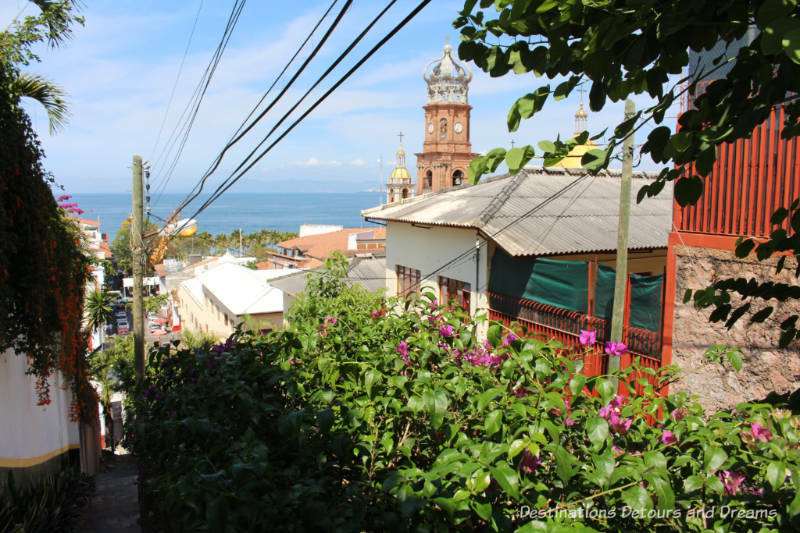 I certainly plan to take another one of your walking tours next time I’m in Puerto Vallarta.